Recently I received an email from my friend, Injun Mike. He checks in with me now and again and always has the sweetest things to say. He said he missed reading my posts, especially the ones having to do with my kids. Then he mentioned the baby. My youngest, who isn’t so much of a baby anymore. 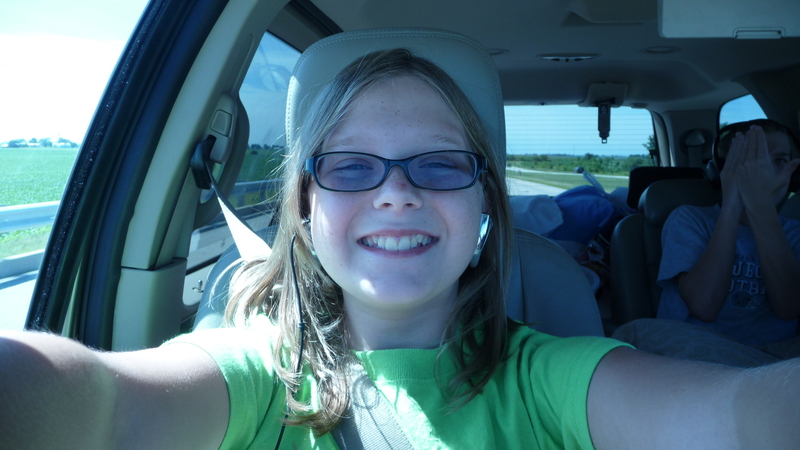 I mean…she looks like this now. I used to have all kinds of stories to share about her. I guess there are still things I could share about her. Like this week Mason (the boy – not to be confused with Mason, the girl who happens to be her best friend) said hey to her. Exactly! Hey. It’s so romantic! He’s said two whole words to her at school this year. The first was Hi. The second was Hey. I know! Before we know it the words will become two syllables. Hello. Howdy. And then phrases…how you doin’? And how’s it goin’? Ahh…they grow up so fast. But I am not here to talk about the grown-up girl. I’m here to talk about her when she wasn’t so grown up. When she looked like this. Awww….how sweet. 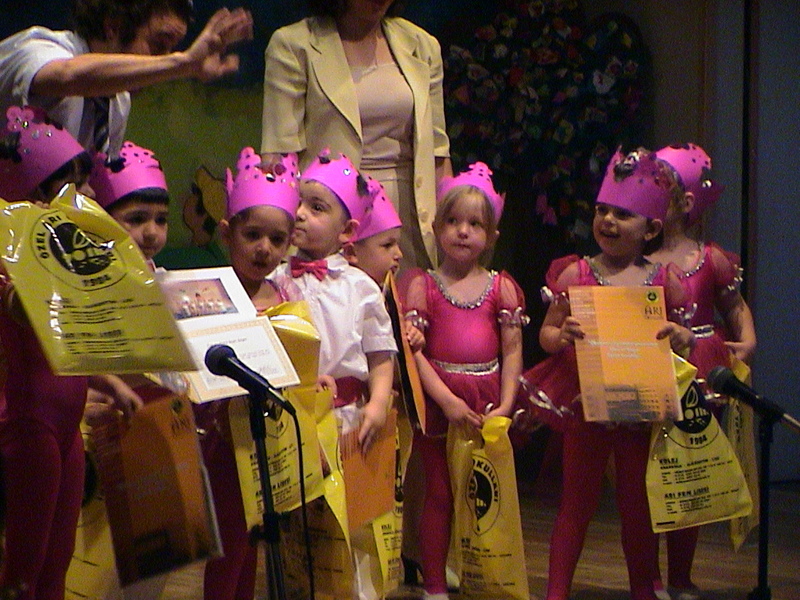 Here she is during the final school performance her first year of Turkish school. They did a little dance and sang some songs and got a certificate for making it through. One thing I was always thankful for was that the kids had to take English. I mean my kids didn’t really need to learn English, but I was glad that someone there could speak to them in English. I was glad they weren’t completely language locked. 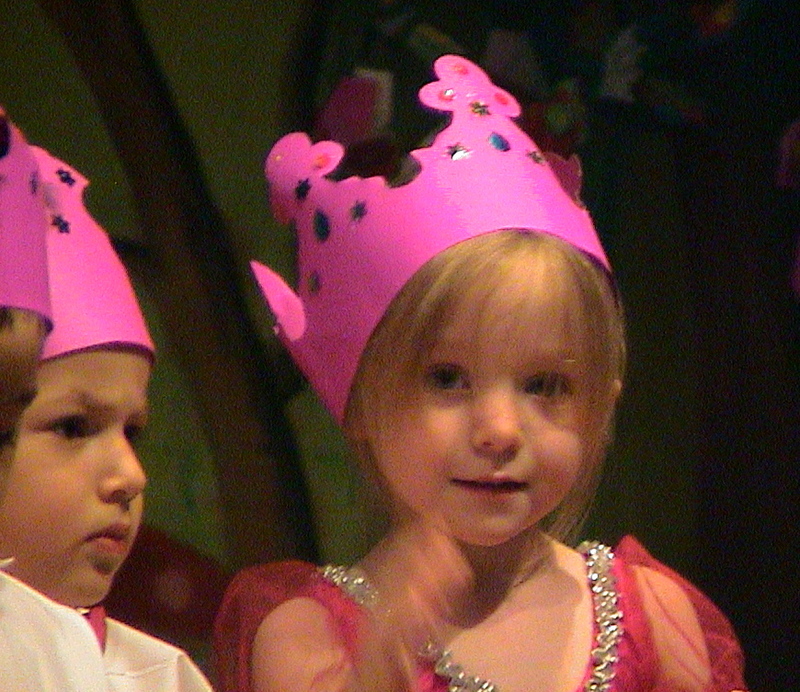 During this final performance we sat in the audience excited to see and hear all she had learned. She did her dance. Adorable. She sang a Turkish song. Cute! Then the class sang a song in English. And Anna Grace sang right along. Get out of bed. Wash your face. Wash your face. Wash your face. Get out of bed. Wash your face and run, jump, let’s keep fit. Get out of bed. Clean your teat. Clean your teat. (Wait a minute…are they saying teat? Who sings about cleaning their teats? Wait…those hand motions show them brushing their teeth. Good grief. Look at AG. She’s singing teat just like the rest of them.) Get out of bed. Clean your teat and run, jump, let’s keep fit. And by this point we were giggling so hard we almost fell out of our chairs. Our child, who had absolutely no problem saying the word teeth had learned this song from a Turk, who like most Turks, had trouble pronouncing the /th/ sound. She learned English alright. I had to show you Jacob’s class as well. He wore this shiny, pink shirt. He looked adorable! 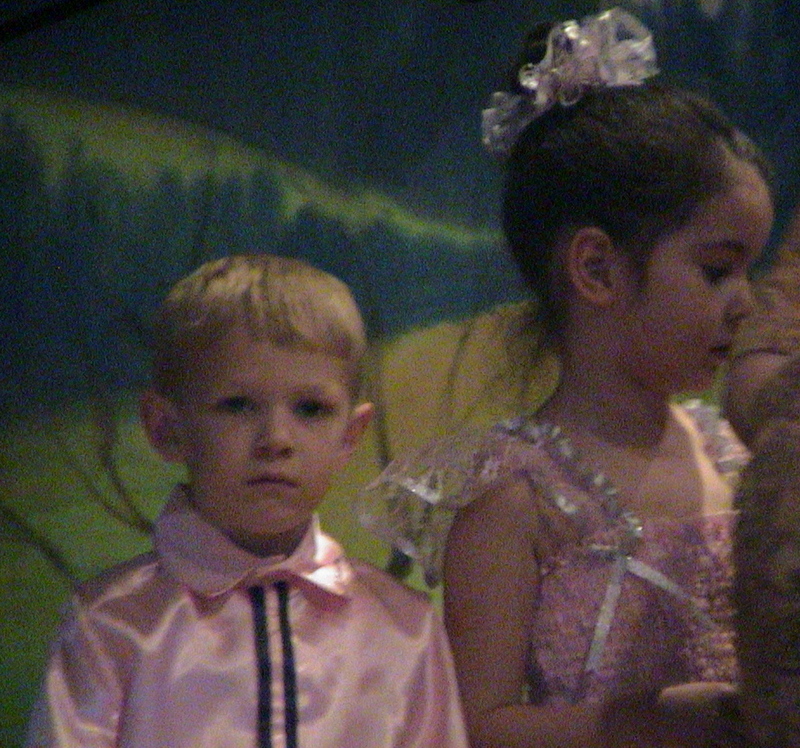 He danced and sang and worried what everyone would think of him in this pink shirt. Then his class had a wardrobe change. 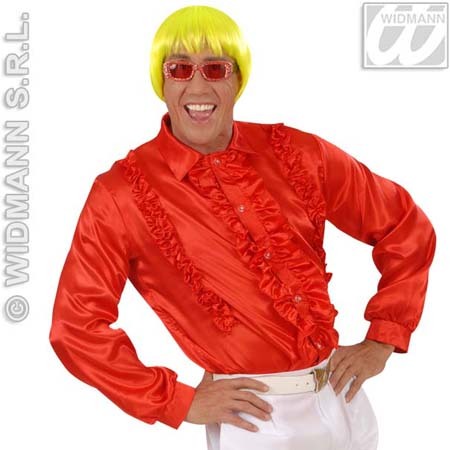 And he came out in a sassy, red Spanish number similar to this. (And how I don’t have a picture of him in this shirt I’ll never know!) And he danced and smiled and was perfectly fine because this shirt was red, his favorite color. Never mind that he swayed and stomped and sashayed around the room. It was red, and who would make fun of him in a nice, sensible, red shirt? Okay, so I’m reading your blog for the first time and I like it so I scroll down and read several posts, when I run across Injun Mike’s name. I think the world just got smaller. I know him! Well, he’s an internet buddy and we email occasionally. Can it be the same guy? Old fella, lives in Maine…loves cars? Okay, I’m going back to read some more, but that just kind of blew my mind. yep….same guy. He’s only an internet friend of mine as well. Found him through Lori Hahn’s blog several years ago. Love Mike!